1933 was the first year that Henry did all body's in-house. I have been told that there are nearly 75 differences from the 33 and 34 models. I do not know them all and through the hot-rod process many of those changes are lost. The biggest difference is in the grill shell. 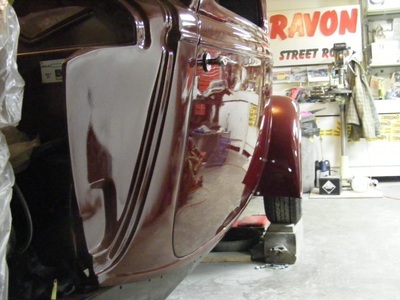 Ravon's body is a mixture of the two years with my own grill a 34 style. If you like the 33 style (thinner band around the front), it can be made to fit. I make The body in 2 1/2" chop, but I have brought the top down further for the Bonneville guys, ala Pierson Bros Coupe. 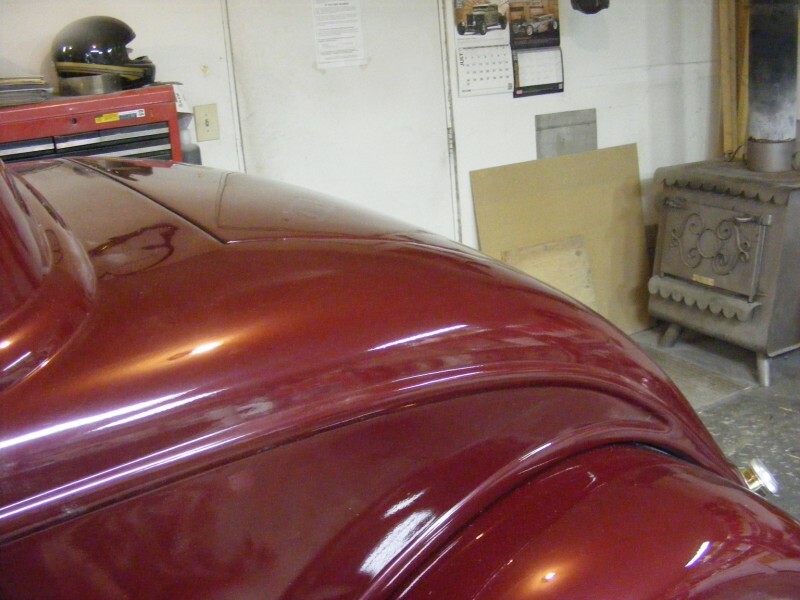 Fender'd or Highboy, rear valance either smooth or with a license plate recess made in. 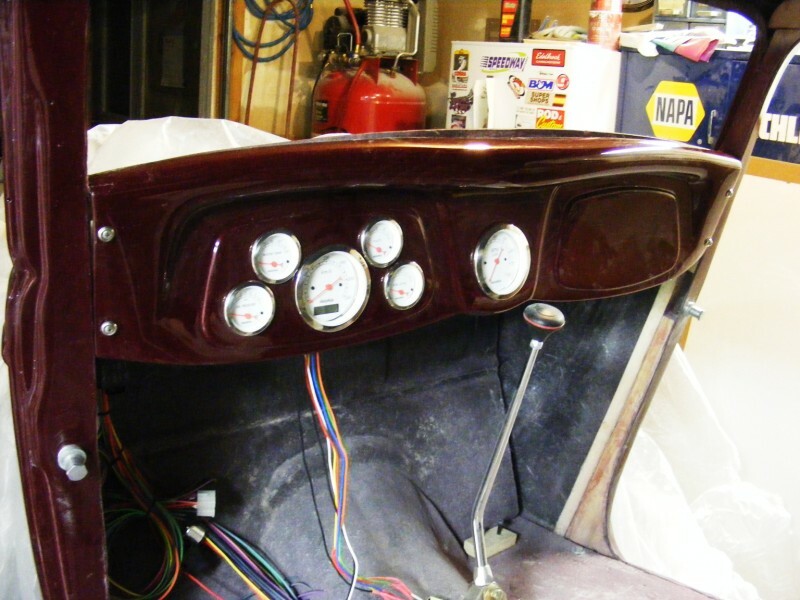 Running boards are fiberglass with reinforcement built in and extra brackets added for strength. With the available covers made by Vintique, they are a beautiful addition and strong enough to stand on. I make a mild steel grill insert that can be chromed, powder-coated or painted for a reasonable cost. 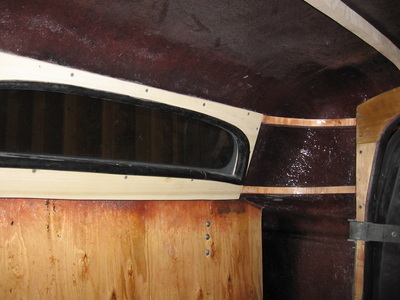 Both power windows are installed and come with all window trim inside. The new door garnish, developed by us, are a better fit than the originals and really clean up the look of the inside of the door. I do still have the original molds if those are desired. 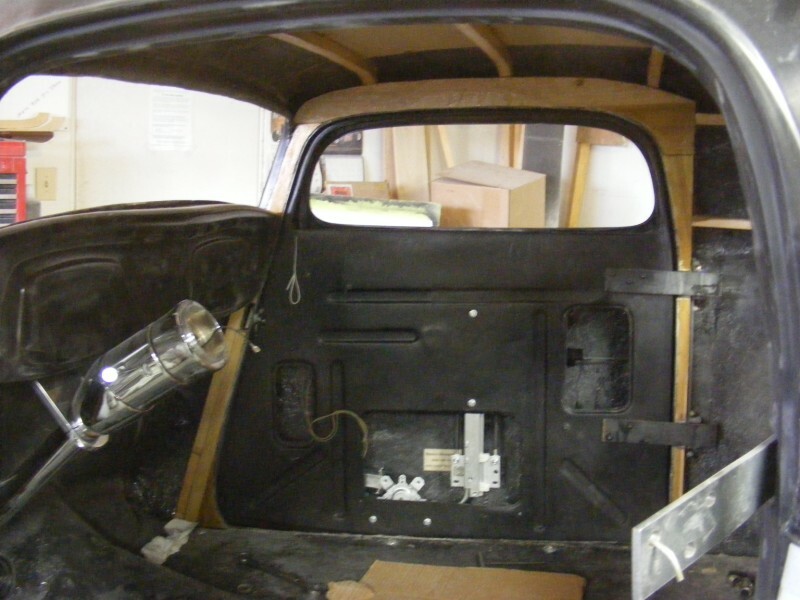 Firewall is recessed to fit most engines, but can be made to fit whatever you want to put in there. 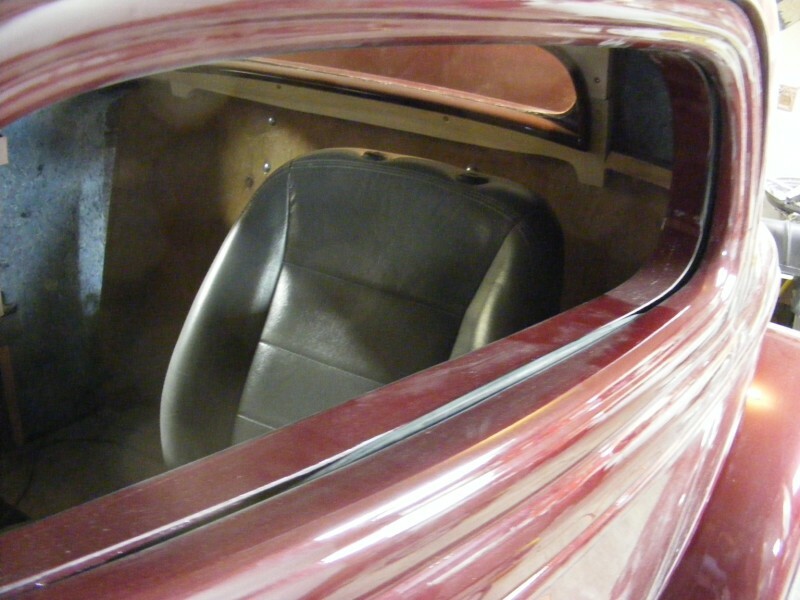 See chassis page for chassis details.